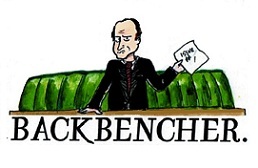 The Backbencher – Is Barack Obama the Democrats’ Richard Nixon? In 1973 Arthur Schlesinger published The Imperial Presidency, the book that first presented the idea of imperial presidential tendencies. There have been many arguments both for the idea and against it, that the idea never existed, or that it did exist but no longer does. I would argue that presidents have and can continue to show imperial tendencies, and that although the idea of an ‘imperial presidency’ referred mainly to Richard Nixon and to a degree his predecessors Kennedy, Johnson and Roosevelt, more recent presidents like George W. Bush and even Barack Obama are very capable of being imperial: though perhaps not to the extent that presidents in the middle of last century were, due to Congress’ understanding and fear of Presidential power being too great subsequently counteracting, to ensure its ability to check the president. Schlesinger argued that the attack on Pearl Harbour in 1941 allowed FDR and subsequent presidents to break free from Congressional restraints. The increase in presidential power and assertiveness that resulted was huge. Truman sent troops into South Korea with no Congressional authorisation in 1950, Eisenhower to Lebanon in 1958, Kennedy launched the disastrous attack on the Bay of Pigs in Cuba without Congressional authorisation in 1961, and in 1970 Nixon bombed Cambodia without the knowledge, let alone the consent, of Congress. This all seems to point to successive presidents running roughshod over Congress. Imperial presidency might have been the creation of foreign policy, but it soon spread to domestic policy. Nixon’s policies to crack down on anti-Vietnam war protests bordered on the use of excessive use of power. Even the way he organised and ran the White House looked more like an Emperor’s court than a professional office. Watergate added fuel to the fire, illegal bugging (sounds familiar!) etc… and obstruction of justice was the final straw. However it could be argued that Nixon’s forced resignation was proof that the imperial presidency did not exist. Nixon said he was retiring because ‘I no longer have a strong enough political base in the Congress.’ The imperial president resigned, forced out by Congress; as ironic a statement as any. But then again Bush’s presidency had definite echoes of the imperial presidencies. He gained an image of being a divisive figure from an unpopular war, encroachments on civil liberties and enhancements of presidential power, all of which made his administration seem increasingly imperial. Thus we can say that presidents can still today be seen as imperial, depending on their views and willingness to assert their power over that of the other branches of government and the people, both publicly and secretly. Barack Obama, who promised to distance his administration from the ‘imperial’ style one of Bush, cannot escape attention: on the contrary, he deserves close scrutiny. Scandals broke one year into his second term. The resignation of the Internal Revenue Service acting commissioner over his agency’s targeting of conservative and tea-party groups in the lead-up to the 2012 election, and the Attorney-General Eric Holder’s pathetic train-wreck of a performance in front of the Senate Judiciary Committee on a host of issues, including the Benghazi debacle in which he demonstrated a contempt for elected officials in Congress that would have shocked leading conspirators in Watergate, show how presidents always have a tendency to act imperially and immorally. George F. Will, a leading political commentator in the US, believes there are “echoes of Watergate” in both the IRS and Benghazi scandals. Will doesn’t go as far as saying that Barack Obama will suffer the same fate as Nixon. After all, Obama benefits from a Democrat controlled senate. But there is no denying the parallels between the sense of impunity in this White House and that of Richard Nixon four decades ago. Obama did not, it’s fair to say, have his best year in office in 2013. Argubly, the most serious scandal to break was his (or at least his knowledge of) the bugging of the German Chancellor’s phone. This is completely unacceptable for the leader of a nation attempting to impose democracy and ‘freedom’ on the world, and was made worse by Merkel being one of America’s closest allies in Europe. Barack could just be becoming paranoid and confusing keeping friends close but enemies closer with the opposite, but more likely he has become arrogant. That same arrogance was present in Nixon’s administration, who also used illegal bugging and thought they could get away with it. To draw parallels between the two is not hard. President Obama, like the presidents of the mid 20th century, thinks that, because he is president, he can bully Congress and impose his will with minimal oversight and opposition. Obamacare is an extremely good example. Republicans in the House, motivated not least by the fact that a majority of Americans do not support the Affordable Care Act, are battling desperately to defund it, or stop it altogether. The President is verbally attacking them as though they are guilty of terrorism, saying they have no constitutional right to stop the bill now it has been enacted. However true that may be, House Republicans have every right to defund it, and as half of the supreme legislative body of the US, they have the right not to be bullied and forced into submission by a president who has shown alarming signs of thinking he is an absolute monarch, and who does not understand the concept of not getting his way being a plausible outcome. Thank God Congress is divided: if the House wasn’t controlled by the GOP, then there would be minimal effective oversight and accountability (even less than there is) of the executive branch and the President would be free to roam as he pleased, even though he does so now to an extent; enjoying the support of a Democrat Senate and no chance of successful impeachment. Perhaps I am a little harsh – perhaps he imagines he is using necessary measures to improve the lives of Americans and so is justified in his tyrannical ways. After all – Nixon believed too in the necessity of illegality and unconstitutional methods to retain absolute power, and thus the ability to enact his agenda, over friends and foe alike. We can see, then, that even the current administration has, for far too long, acted like an imperial court rather than an accountable elected office, just like the one in 1974 did. Therefore, it is hard to argue with the assertion that even the modern presidency is, to a large extent, imperial. Lament Barack Obama, who, so many had hoped, would bring about great and good change in America. Alas, that image is fading fast, and perhaps in a decade people will be taking about Barack Obama’s imperial presidency as we do with Richard Nixon’s now.